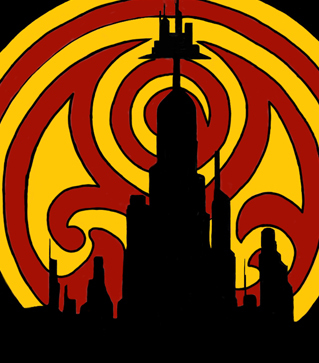 Gallifrey's Most Wanted Episode 053 -- "Terror of the Autons"
Gallifrey's Most Wanted Episode 051 -- "Marco Polo"
Gallifrey's Most Wanted Episode 050G -- "Resolution"
Gallifrey's Most Wanted Episode 050E -- "Tsuranga, Punjab and Kerblam!" Gallifrey's Most Wanted Episode 050D -- "Arachnids in the U.K."
Gallifrey's Most Wanted Episode 050C -- "Rosa"
Gallifrey's Most Wanted Episode 050B -- "The Ghost Monument"
Gallifrey's Most Wanted Episode 050A -- "The Woman Who Fell to Earth"
Gallifrey's Most Wanted Episode 049 -- "Listen"
Gallifrey's Most Wanted Episode 048 -- "Time of the Angels/Flesh and Stone"
Gallifrey's Most Wanted Episode 047 -- "School Reunion"
Gallifrey's Most Wanted Episode 046 -- "Aliens of London/World War III"
Gallifrey's Most Wanted Episode 045 -- "The Stones of Venice"
Gallifrey's Most Wanted Episode 044 -- "Dragonfire"
Gallifrey's Most Wanted Episode 043 -- "The Mark of the Rani"
Gallifrey's Most Wanted Episode 042 -- "The Visitation"
Gallifrey's Most Wanted Episode 041 -- "Genesis of the Daleks"
Gallifrey's Most Wanted Episode 040 -- "Inferno"
Gallifrey's Most Wanted Episode 039 -- "The Moonbase"
Gallifrey's Most Wanted Episode 038 -- "Edge of Destruction"
Gallifrey's Most Wanted Episode 037 -- "Robot of Sherwood"
Gallifrey's Most Wanted Episode 034 -- "The Unquiet Dead"
Gallifrey's Most Wanted Episode 033 -- "Sword of Orion"
Gallifrey's Most Wanted Episode 032 -- "Delta and the Bannermen"
Gallifrey's Most Wanted Episode 031-- "Vengeance on Varos"
Gallifrey's Most Wanted Episode 030 -- "Kinda"
Gallifrey's Most Wanted Episode 029 -- "The Sontaran Experiment"
Gallifrey's Most Wanted Episode 028 -- "The Ambassadors of Death"
Gallifrey's Most Wanted Supplemental Episode 013A -- "Twice Upon a Time"
It's the end of an era, it's the beginning of an era. And the most wonderful time to be a Doctor Who fan. We react to the Twelfth Doctor's run-in with his former self, an officer with ties to a future, former self, his beloved companions (or ARE they? ), and his farewell. And say hello to Thirteen. The Episode you've been waiting for! In advance of Twice Upon a Time, we wanted to go over Tenth Planet with a fine tooth comb. It's a better story than we remembered (possibly helped by the animation by Planet 55), and that only adds to the anticipation of a new Regeneration this Christmas. Gallifrey's Most Wanted Episode 025 -- "Into the Dalek"
The Eighth Doctor meets Charley in the Big Finish launch of their 8th Doctor Adventures within the Main Range, and it's a thing of beauty. An historical and a giant alien airship, big enough for the largest dirigible flown to that point to fit inside. Paul McGann and India Fisher team up and spark from the beginning. Also, Companion Files for First Doctor Companion Vicki and this episode's Charlotte Pollard. Continuity, Mythology, what is "Canon" in the Whoniverse? We talk Timeline vs Chronology and lots of books and audios and where they all fit in. We ran long last week, so we are putting out a bonus episode with Companion Files for Ian Chesterton and Peri Brown. From First to . . . well, you have to listen to our take to see what we think.